(Editor’s Note: The following letter from Michael Mariotte, president of the Nuclear Information and Resource Service arrived this week, reminding us of common ground with conservatives who would end government subsidies to the nuclear power industry. 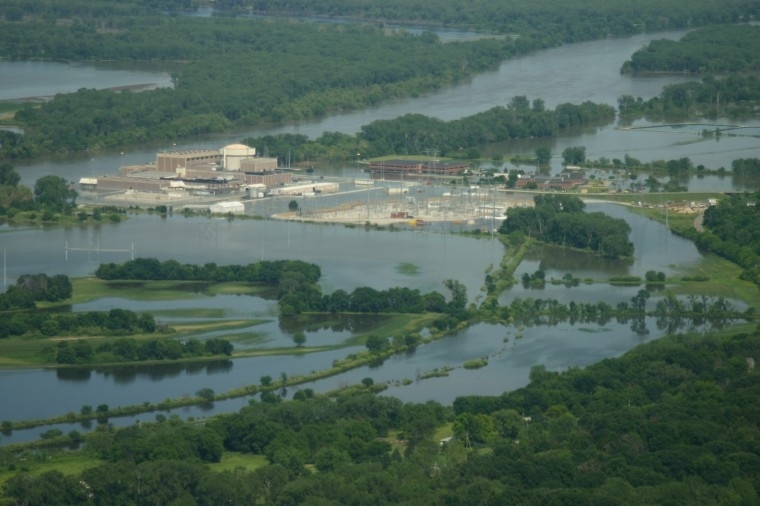 Iowa’s own nuclear plant near Palo had its life extended for ten years by the Nuclear Regulatory Commission, but what then? Without subsidies, there will be no more nuclear power in Iowa). Thank you to the nearly 4,000 (3,997 as I write this) of you who have signed our NIRS/CREDO petition to President Obama demanding that subsidies for nuclear power be removed from the EPA’s proposed rules intended to reduce carbon emissions. We will be delivering that petition to the White House in a couple of weeks, so if you haven’t yet signed, please do so now here. And there is still time to help with outreach–please share with your email lists, friends, social media sites and the like. We will be expanding our outreach over the next couple of weeks as well– together we can increase that 4,000 number substantially. *A reminder of the NIRS teleconference on nuclear power and climate on June 18 at 8 pm eastern time. I will talk about the basic reasons nuclear power is not only ineffective as a climate solution, but attempting to use it as such would be counterproductive. Renewable energy expert Hunter Lovins will bring the latest news from the rapidly-growing renewable energy revolution. NIRS’ executive director Tim Judson will update us on a new industry-created front group and its gambit to force consumers and taxpayers to subsidize nukes in strange and new ways, justified in part as a climate cure. There is no charge for this event, but pre-registration is required, you can do so here. Registration enables us to send you the call-in information (this is a telephone-only event, no computer required) and updates on the event. *And a reminder of the poll we are conducting to determine the level of grassroots support for a major anti-nuke contingent at the Sept. 20 climate march and rally in New York City. We’ve set up a new, very short poll page on GreenWorld here–we hope you’ll answer. We’re willing to help organize nationwide for this event and help create the most visible and vibrant presence possible there–but only if you support that kind of effort. And, to all those who respond that you’re willing to help organize, don’t forget to send us an e-mail to nirsnet@nirs.org so we know who you are! If you can contribute toward production of materials for that event–flags, signs, banners, etc, please do so on our special donation page here; all money raised from that page will go directly toward materials costs. Your support is appreciated. This entry was posted in Energy, Nuclear Abolition and tagged Duane Arnold, energy, Iowa nuclear plant, nuclear abolition, nuclear power. Bookmark the permalink.